While diving, manta rays usually represent, in the diver’s mind, one of the most desirable fish to encounter. There are places all around the world where you can spot these marvellous creatures and one of these is, indeed, the Maldives. In fact, this archipelago is one of the best places to visit if you want to enjoy diving with mantas but you might like to know that there is a precise relation between the location you intend visiting and the period of the year you choose. 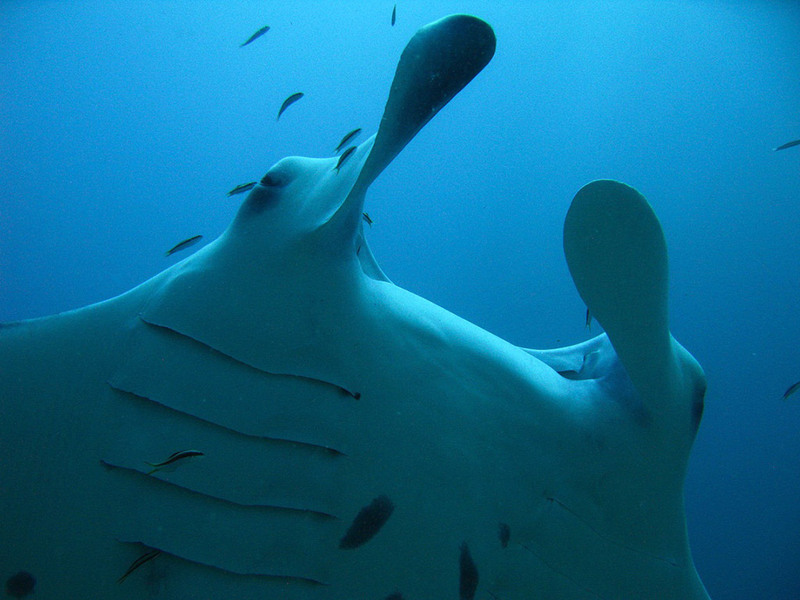 The reason is that manta rays are filter feeders and eat huge amounts of plankton. Water in the open ocean is quite poor of plankton but by the time the flow goes through the whole atoll, from side to side, nourishment becomes enriched. During the winter season, December to April, the main current follows the monsoon and flows from East to West. During the summer season, May to November, the main current flows from West to East. From December to April you’re more likely to find mantas in the west side of the atoll. 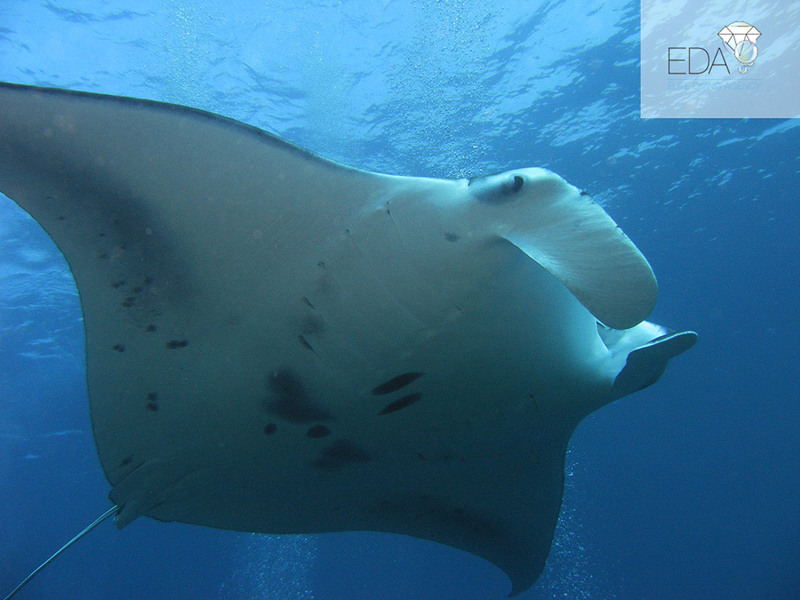 From May to November mantas are more usual to be found in the east side of the atoll. The accurate choice will allow you to dive with these marvellous creatures seen as angels because of their fluctuant fins. A shortcut to meet manta rays is when they are visiting the cleaning stations to remove external parasites. Cleaning stations are close to the coral surface and mantas prefer visiting them with the high tide. When the current is outgoing enriched by plankton, we may assist at groups of them flying over us, trying to eat as much plankton as possible and, in spite of the plankton hazing the water, we’ll enjoy the spectacular loops they perform just few meters away from us.